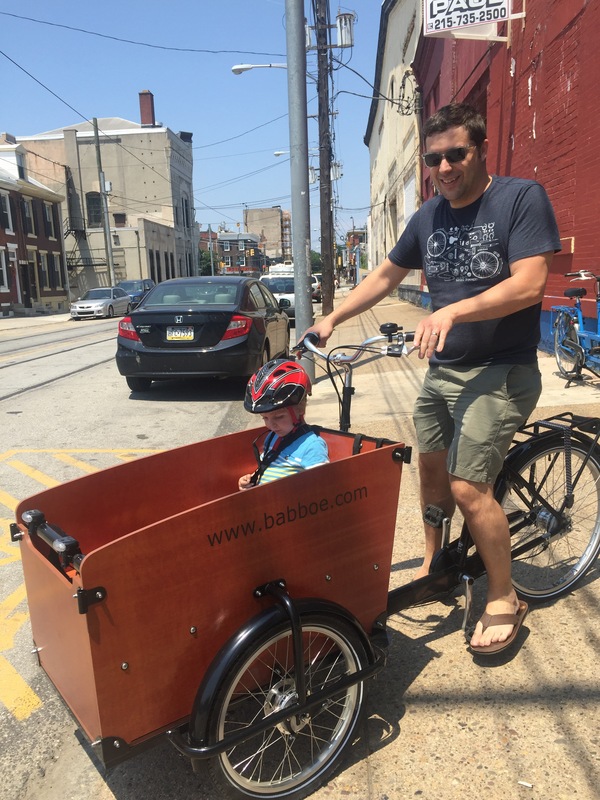 What: Babboe Big Cargo Bike. Babboe Co is a relatively young company, est 2006, in the Netherlands. That is also where the word bakfiet originated as it is actually a Dutch word meaning “box bike”. 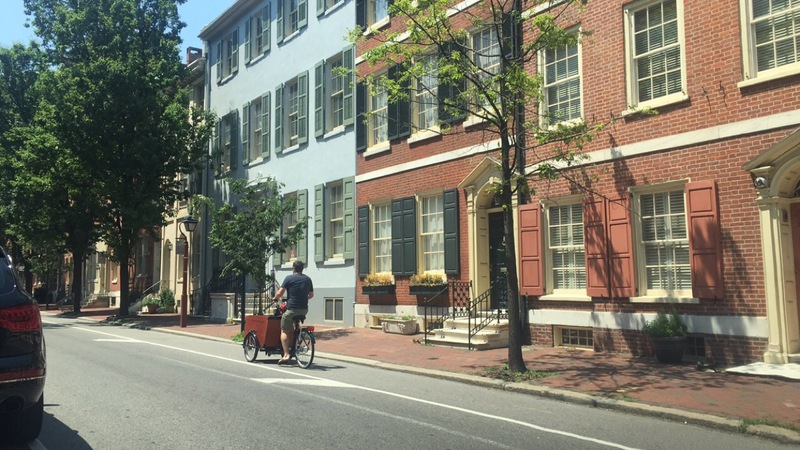 Also referred to as a cargo bike, box bike, Christiana bike, ladcykel, kid schlepper, minivan bike, trike, etc. 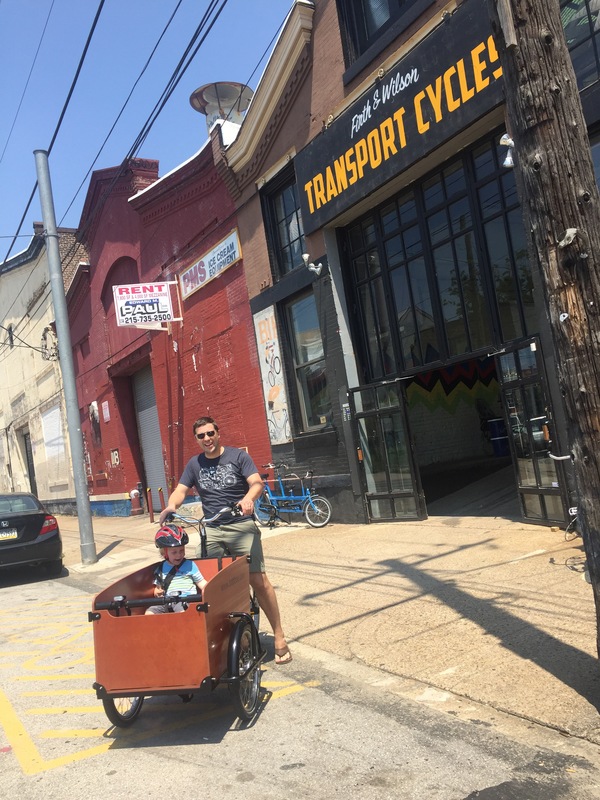 Where: Firth & Wilson Transport Bikes, Fishtown, Philadelphia. 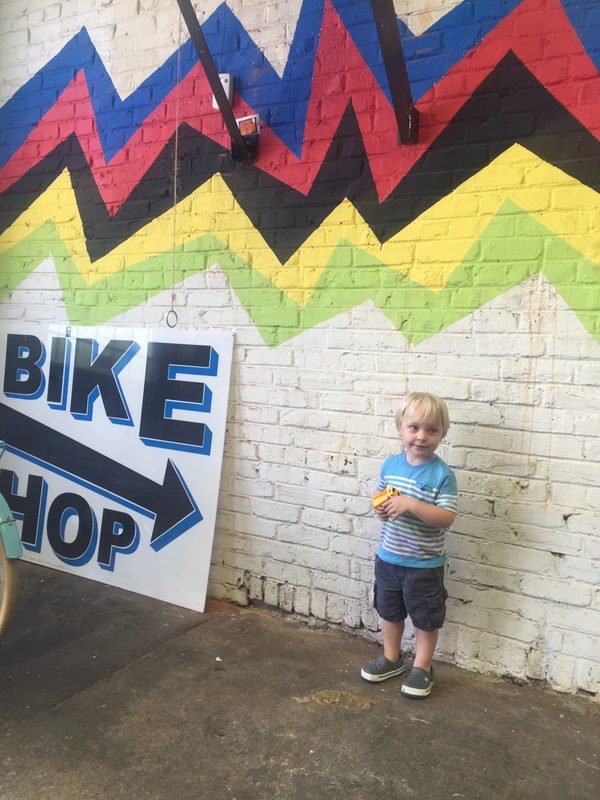 We definitely recommend this great shop and staff! How: Luckily they had one in stock and ready to ride home that day! Shipping times can range up to a month for some models. Apparently you can rent them there, too! Why: We tested another trike style cargo bike while there, a Danish brand, Nihola. The cargo area only had one bench, so our kids would have had to sit next to each other. It also had backpedal style brakes and overall felt lighter. Many of these could be seen as pros (smaller, lighter, faster) but we would have a long wait and high shipping charges so we stuck with our original, sturdy choice. Rob biked it home 5 miles that day and we haven’t looked back!